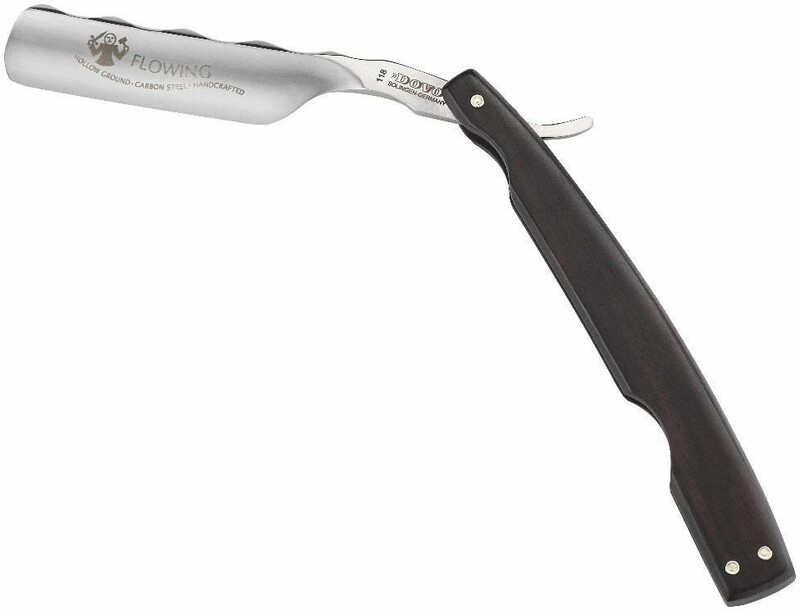 Dovo "Flowing" 6/8" Straight Razor - Grenadille Wood Handle. With a full hollow Ground carbon steel blade. Made in Germany.